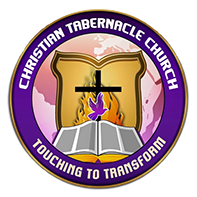 Online General Offering - Christian Tabernacle Church of God Inc. Thank you for your support to Christian Tabernacle Church. Because of your financial support and generosity, you have planted the seeds that will enable The Christian Tabernacle Church to continue to 'Touch to Transform" lives and provide a church home for you and others. Thank you for answering the call to contribute to God's work here at The Christian Tabernacle Church. 2. You can give during our general offering at one of our worship services.